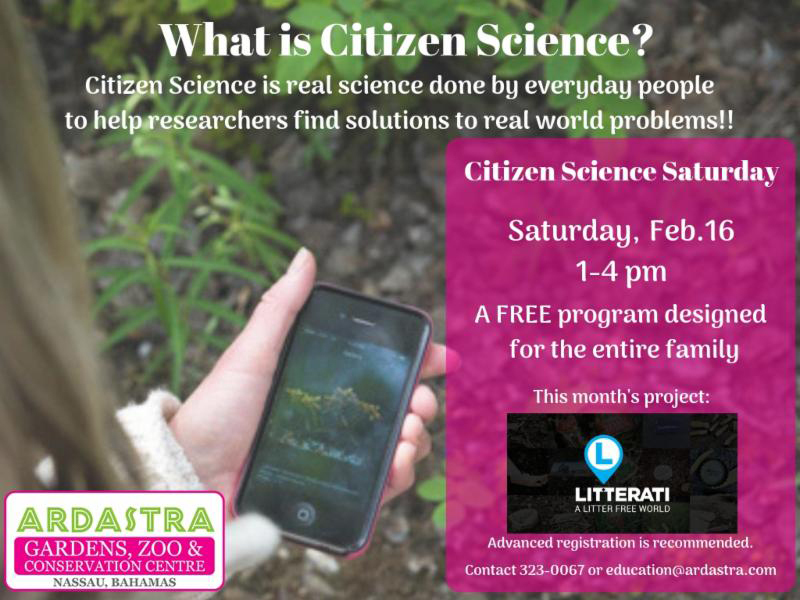 Our FREE program designed for the whole family- Citizen Science Saturdays! Each month, we will get involved with a different citizen science project and learn how to contribute valuable data to scientists here at home and all over the world. This month we will learn how to get involved with Nature's Notebook. Participants will adopt an area to monitor and document the seasonal changes of plants and animals to help scientists with ongoing research. Children can earn community service hours for participating.